All of our Cloth Totes are custom-made-to-order and handcrafted to the highest quality standards. 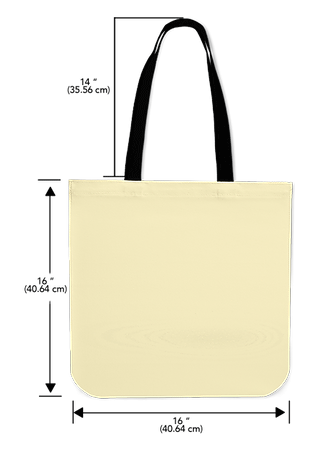 Tote bag made from our premium 50/50 Poly-Cotton blend for soft comfort and maximum durability. Each tote features a double-sided print and is finished with a set of straps for over-the-shoulder carrying.